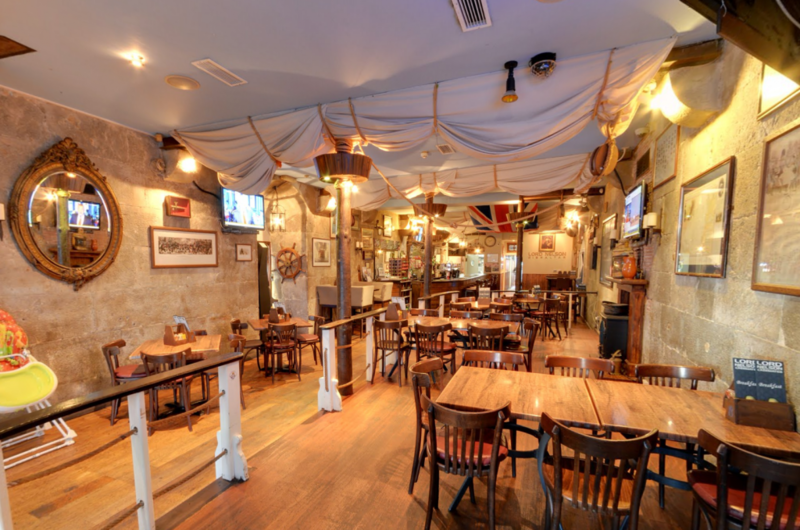 The themed bar/bistro was designed to emulate HMS Victory, with sails & rigging as well as pictures and memorabilia taking locals and tourist alike back in time 200 years to the age of the battle of Trafalgar. Set in the historic Grand Casemates Barracks. Grand Casemates Square is the larger of the two main squares within the city centre of Gibraltar. 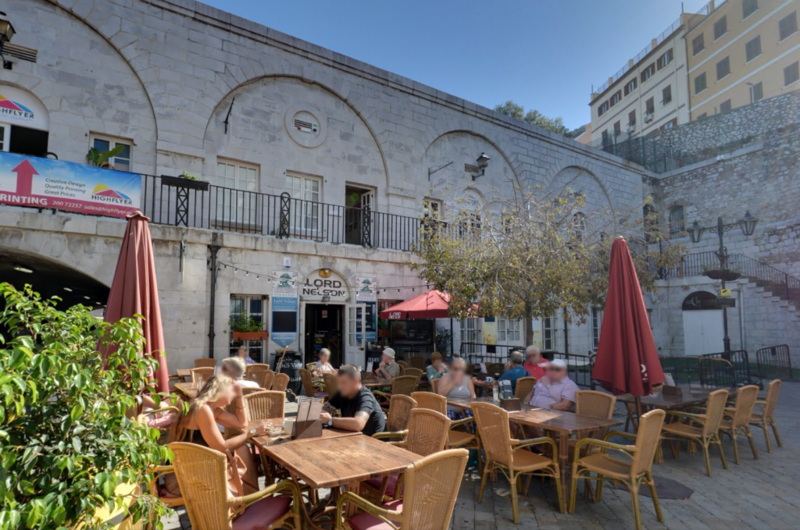 Located at the northern end of Main Street, the square is lined with numerous pubs, bars and restaurants and acts as the gateway into Gibraltar’s city centre for most tourists. Our terrace overlooks the square from a tranquil corner. Whatever your event or celebration, we are here to make your special day a truly memorable one. Lord Nelson’s private dining experts are more than happy to create custom arrangements that cater to your individual needs. 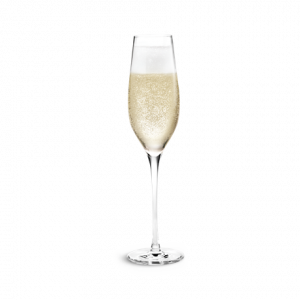 Every Monday, Tuesday and Wednesday evening, we’re offering a complimentary bottle of Champagne to booked groups of 10 or more. Call our reservations team on +350 200 50009 for more information. Our establishment was named “Lord Nelson” to commemorate England’s most famous Admiral – one of the best-known military figures associated with the Rock.